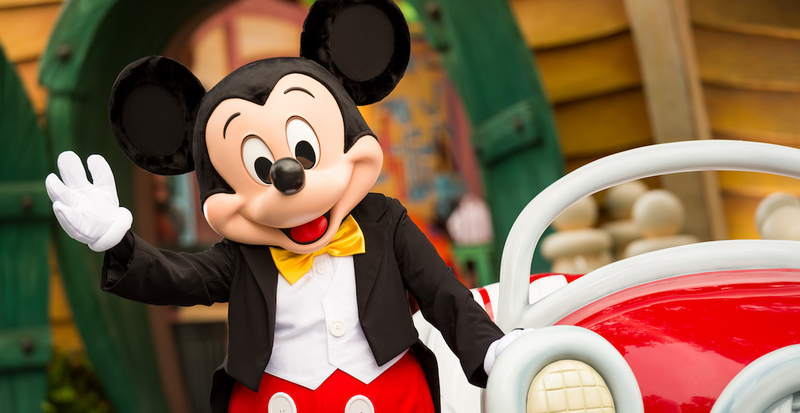 If you’ve been thinking about taking a trip to the happiest place on earth, ie: Walt Disney World in Florida, now might be the perfect time to start putting those thoughts into action. 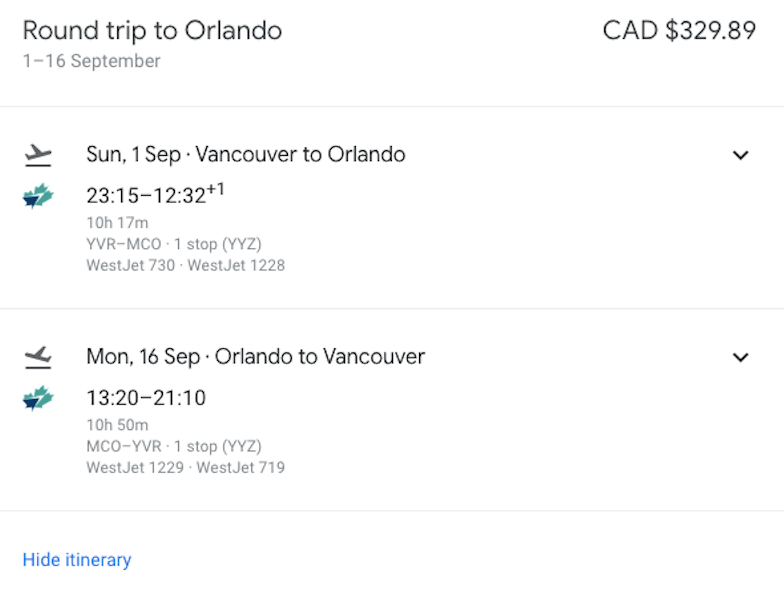 The deal comes courtesy of WestJet, and offers a round-trip flight from Vancouver to Orlando for $329.89, according to its website. The flight leaves Vancouver on Sunday, September 1, and returns on Monday, September 16. This is a notable deal, as a quick Google search shows that a one-way flight to the popular destination costs around $574 and up. And, if the flight deal wasn’t enough to entice you to go, the Florida attraction recently announced that Wine Bar George at Disney Springs has introduced a Wine Country Brunch featuring the… drumroll, please… Dole Whip mimosa. It’s a tasty concoction made with pineapple juice, moscato, and Prosecco for the obviously-worth-it price of $15. This new bevvy will be a welcome consolation to those who are reeling from Disney Parks’ recently announced ban of smoking, vaping, large strollers, and loose ice. Disney Springs is an outdoor shopping, dining, and entertainment hub that is part of Florida’s Walt Disney Resort, and features some of Disney’s top restaurants. You don’t need a park ticket to access the Springs.